Did you know that Poland is the largest country to enter into the European Union this century? getsix® are sure many of us have had direct experience with the Polish work ethic, either through direct contact with a Polish colleague, or by using the services of a tradesman who completed the work on time and within budget. With Poland having 40 million people, and strategically placed at the centre of Europe, Poland is an economic power to be reckoned with. Since the downfall of Communism, by a mixture of a sweeping economic reform and just sheer hard work, Poland has become one of the most vibrant economies in the old Eastern bloc with an average household income of about EUR 15,500.00. If you include the prosperity of newly returned expatriates, and you have an attractive market for any business. If you are looking to invest and open a business in Poland, getsix® have put together some information regarding payroll legislation and practice. 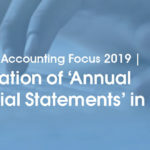 A payroll function in Poland is usually viewed within the accounting profession, and payroll therefore is usually located within finance departments. All employers, regardless of their size, that have a physical presence in Poland are required to withhold and account for a number of different taxes and levies based on an employee’s salary. Both the Tax and Social Security offices can provide basic training to companies at no cost, although this is typically available only in Polish. Personal Income Tax (PIT) has to be subtracted at the source from employees’ salaries by employers, and is controlled by the Urzad Skarbowy (Polish tax office). The Polish fiscal year runs from 1st January to 31st December. There is a simple tax system in Poland, applying just two rates of tax: 18% and, for incomes over Polish zloty 85,528.00 (PLN) (approx. EUR 20,116.00), 32%. The higher rate threshold has stayed the same for some years. The calculation of pay uses a simple aggregate system, which frontloads the 18% tax rate into the first months of the tax year, rather than evenly spreading it over the whole tax year. So for high earners, this means that their net pay will be higher in the earlier months of the fiscal year when they pay the lower 18% rate. Benefits which are received in kind are also contained within in the tax calculation by use of estimated cash values. Common benefits regularly provided include private medical insurance and company cars, with the taxation of cars being limited to a cash value assessed on the private use of the vehicle. Social security insurance and an amount of the separate health care contribution are deductible from taxable income. Additionally, all employees are permitted a small deduction in lieu of the travel costs related with getting to work. As a final point, a flat rate personal tax relief of 46.33 PLN (approx. EUR 11.00) per month is subtracted before tax is calculated. This allowance is not offered to those with incomes more than 127,000.00 PLN, but should this be over-awarded through the payroll calculation, the responsibility is on the employee to correct it on their annual tax return. An annual year end comprising of two forms must be filed at the end of each tax year. Form PIT-4R shows the total amount of PIT paid to the Tax Office throughout the year and must be filed by 31st January. Additionally, both the Tax Office and the employee must receive Form PIT-11 itemising individual pay, social security contributions, and taxes by 28th February. Even though both declarations are sent to the tax office electronically, the employee must still be given a paper copy of Form PIT-11. The forms must be individually signed (rather than having a signature printed onto them), which can be a major logistical challenge if you have hundreds of certificates to complete. It is obligatory that all employees by law must file an annual tax return by 30th April. This return can be submitted electronically. Employers must remit the tax deducted from salaries to the Tax Office by the 20th of each month. Social security is overseen by the Zaklad Ubezpieczen Spolecznych (ZUS) office. Contributions are obligatory for all employees irrespective of age, and continue to be due at the full rate past state retirement age. The system comprises a maximum annual earnings threshold that applies to both employee and employer contributions. This is fixed at 30 times the national average wage, which for 2018 is 133,290.00 PLN (approx. EUR 31,100.00). Each employee is given a distinctive identifying number for life by ZUS, known as a PESEL, which the employer should attain on recruitment. The contribution is evaluated for a number of different categories of insurance, as detailed in chart below. Every single contribution type must be calculated, accounted for, and shown on payslips separately. Additionally, the employee must pay an additional healthcare contribution calculated as 9% of gross pay less ZUS contributions. Paying the contribution enables the employee and their family to free treatment under the Polish state healthcare system, and insurance contributions are reported to the medical profession via the eWUS system to confirm entitlement to publically funded treatment. Each month a full return of earnings and contributions deducted must be made by the employer. This should be done electronically using a government-issued software programme called ‘Platnik’. Additionally, the software is also used to report starters, leavers, and ad-hoc changes, i.e. employee address. The return should be made by the 15th of each month, this is also the deadline for making payment of the contributions to ZUS. The remittance must be divided and paid to three separate ZUS accounts, according to contribution type. Employers also face a third tax calculated by reference to gross payroll, known as PFRON. The Polish government uses the tax to make available support services to the disabled. It is payable by all employers when their workforce reaches 25 employees, but the obligation can be limited or even removed if the company either directly employs registered disabled people or buys goods and services from organisations created to provide employment for the disabled. To remove the liability, a company would have to have 6% of its workforce as registered disabled. This practical measure actively inspires the recruitment of disabled workers and is very effective in achieving its aim of increased employment and reduced social exclusion of the disabled. A monthly return listing payroll calculations must be submitted. You can view more details here. The Polish labour laws are a complex designed to side with the employee, mostly regarding the termination of employment. An additional rule involves employers paying the salary for hours worked either in the month they were worked, or by the 10th of the following month. Even though this is simple to achieve for those paying a fixed monthly salary, it is particularly challenging for those employers that operate payment by the hour and are used to mid-month payroll cut off points. There was on large U.K. retailer that recently arrived in Poland has had to move their payday from the end of the month to the 10th of the month to obey this rule. 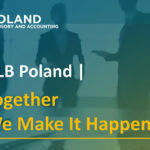 Foreign companies planning to invest in Poland should pay special attention to local advice regarding the impact of labour laws on the payment of salary, as they may have a major impact on the company’s usual method of operating. All of these rules relate equally to foreign businesses looking to invest in Poland, let getsix® be your local payroll partner. If you plan to send expats, then it is likely that withholding obligations will centre around tax, as the assignee/s will probably be covered by Form A1 (within the European Economic Area) or Certificate of Coverage (countries with a bilateral agreement on social security with Poland) and remain insured for social insurance in their home country. If the employer has no permanent place of business in Poland, then there is no entity for the tax office to administer withholding on. In its place, employee tax obligations must be met through payment of tax via a self-assessment system. getsix® can provide the local professional assistance to help expat employees through the process. 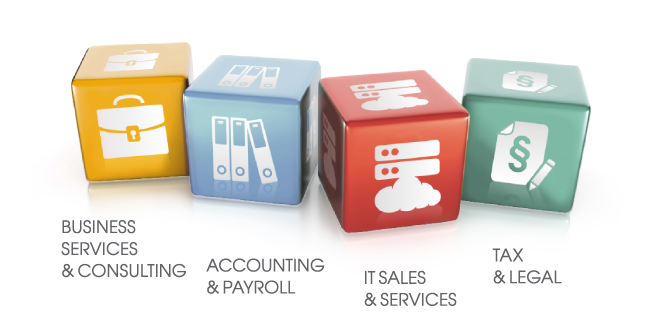 To summarise, knowing all of what you have read and if your business is planning to invest in Poland, why not use getsix® Payroll and HR services, along with our Accounting services, rather than creating payroll and accounting departments, which would then need to be part of project teams. getsix® has all the experience and knowledge to guide you through the complex issues, as we have the first-hand experience of being policed by both ZUS and the Labour Inspection Office. Another example is the salary payment rule, which might also have a significant impact on internal procedures spreading wider than payroll; for example, it could require redesigns to your standard time and attendance system. If all this sounds like a minefield, then don’t despair. Fortunately, getsix® is already a well-established payroll provider in Poland.